We’d love your help. Let us know what’s wrong with this preview of The i Tetralogy by Mathias B. Freese. To ask other readers questions about The i Tetralogy, please sign up. Mathias Freese's book, The i Tetralogy, (published by Wheatmark) is essentially four short novels in one volume. Each of these narratives revolves around a single topic: the Holocaust. The first ("i"), is narrated by an inmate in a death camp, victim to the random whims of the German guards. It follows his efforts initially to survive, and later to befriend and care for a younger inmate. The second section ("I Am Gunther") takes the point of view of a camp guard named Gunther, a frighteningly cr Mathias Freese's book, The i Tetralogy, (published by Wheatmark) is essentially four short novels in one volume. Each of these narratives revolves around a single topic: the Holocaust. The first ("i"), is narrated by an inmate in a death camp, victim to the random whims of the German guards. It follows his efforts initially to survive, and later to befriend and care for a younger inmate. 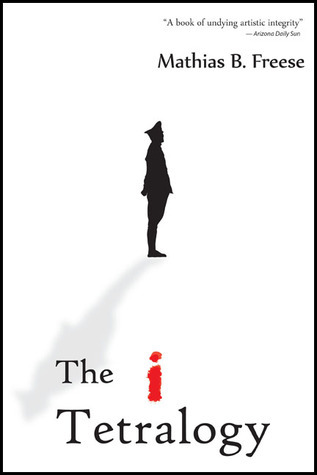 The second section ("I Am Gunther") takes the point of view of a camp guard named Gunther, a frighteningly cruel and thoughtful character whose hatred is palpable through the words on the page. The third and fourth sections ("Gunther's Lament" and "Gunther Redux") are told respectively by an aging Gunther, living out his latter years in a peaceful American town; and one of Gunther's sons, who struggles to come to terms with the his identity, and the acts his father has comitted.